Everyone wants to get a flowless skin, more especially Laddies' they want it flowless, and it is seen as a sign of good health. that is why we find it so attractive for both men and women, a lot of people spend huge amount of money' just to get a flowless skin. But don't worry because I will tutor you on how to get a flowless skin, without makeup or lots of pricey products. • Eating a healthy food. • Protecting your body from the sun. Now the good news is that I have an awesome natural remedies you will incorporate with your diet to help get a flowless skin easily. It is known for its unique yellow color and awesome fragrance, it is very important for the health of most structures in the body. Miracle mineral sulfur is a major components of the body' most indispensable antioxidant glutathione. It also play a vital role in metabolism and helps to detox the body by chasing down and terminating toxins through the liver and preventing cellular damage. Not only that, it also regulate the formation of the joint cartilage and the keratin in the skin and hair. Miracle mineral sulfur has antibacterial and antifungal qualities. Sulfur has been used in medicine for decades, and when it comes to getting a flowless skin " it is currently used in treatment of lots of skin diseases. E.g dandruff, acne, rosacea, scabies, dermatitis, psoriasis and warts. • Sulfur helps in removing too much oil and improving the texture and tone of skin. • It allows the skin to breathe by opening pores. • It also exfoliate dead skin cells, bacterial and fungal cells. 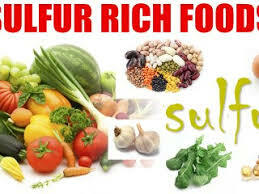 • Last but not the list, sulfur helps in drying out acne sores without disturbing the moisture level surrounding skin. • Greens like kale and collards. • Diary products from grass' fed cattle. • Meat, fish and egg. • Cruciferous vegetables like cauliflower. sprouts, radishes, red and green cabbage, Brussels,and broccoli. • The alliums family of plant: ginger, leeks, onion, chives, shallots and garlic. When you talk about getting a growing and flawless skin, you have to bear in mind that Vitamin C is one of the main ingredients for skin care products. A lot of studies have shown that when apply vitamin C in a topical manner, it boost collagen production. Deficiency in vitamin C may cause destruction of collagen, which can lead to sagging and wrinkling of the skin, as we age" in younger people. Lack of collagen in the body may cause tiredness, uneven skin tone and dull. Studies have also shown that when apply vitamin C in a topical manner, it protects against oxidation stress. Vitamin C is an essential component in the synthesis of collagen " which is very important in maintaining the elasticity of the skin. When it comes to uneven or blotchy skin, vitamin C hinders the process of melanogenesis" which means when the skin becomes discoloured due to excessive melanin production. It is also anti-inflammatory, that helps to stop substances on the skin from triggering off acne and eczema. Vitamin C provides protection from the sun and damage caused to the skin by UV rays. It helps in repair and rejuvenation of the skin.This reasons makes vitamin C a unique choice, when it comes to getting a flowless skin. Most plants and animals synthesize vitamin C in their cells, while humans doesn't have. So we need to constantly renew our store. • Fruits like kiwi fruit, pineapple, mango, honeydew mellon, papaya and guava. • Green leafy vegetables, more especially kale. • Broccoli, red cabbage, peas, Brussels sprouts, green cabbage and cauliflower. • Chil and Cayenne peppers, yellow and red bell perppers. • Citrus fruits" grapefruit, orange, Clegmentines and lemon. Vitamin E play a vital role in building a growing and flowless skin, it is a potent antioxidant " which makes it one of the most recommended skin care vitamin. 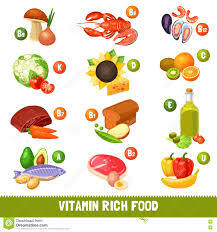 Vitamin E helps to battle oxidative stress, which helps the cell to regenerate and recuperate. It helps to delay aging, removing blemishes, black sports and it makes the skin to grow and shine with natural health. It also stimulate the growth and maintenance of collagen and other connective tissues in the body system, by scavenging free radicals. 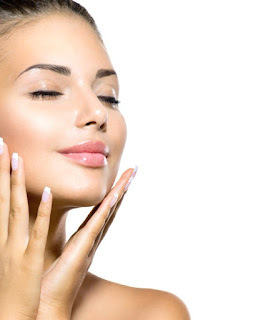 To get a flowless skin, you need vitamin E " because it helps to free radical alter,the synthesis of the collagen' making the skin lose its sheen and elasticity, paving way for sagging, wrinkles and blemishes. However, animal source generally are not the best source of vitamin E, but there are some in liver, ghee, egg, buyer and yolk. • Fruits- avocados, papaya and kiwi. • Seed- pumpkin seed, sesam, falx seeds, sunflower seeds, and chia seeds. • Herbs- basil, parsley and coriander. • Nuts- pecans, walnut, hazelnuts, almonds ,peanuts and pine nuts. 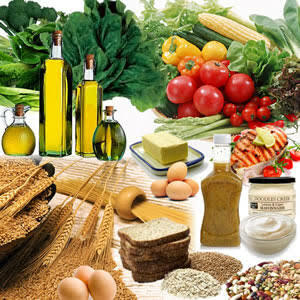 • Vegetable oils- olive oil and palm oil. To get a flowless skin, you have to start eating a well nourished and hydrated food" which is the key to having a flowless skin. A varied balance diet that contains vitamin C,E and sulfur, is a great way to get a growing and flowless skin.